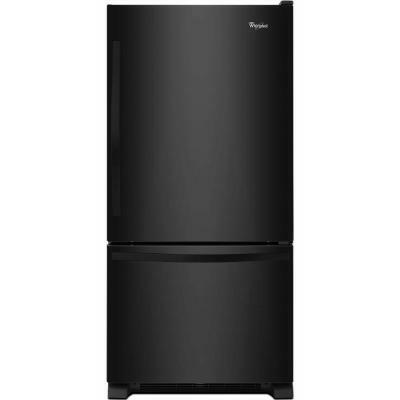 Store: La Baie Condition: Brand New Price: $1799.99 Total Price: $1799.99 Buy It from La Baie WRB322DMBB - RÃ©frigÃ©rateur noir de 22 pi3 avec congÃ©lateur infÃ©rieur et tablettes en verre antidÃ©bordement SpillGuard. Last updated: April 18, 2019 at 11:47 EST. Pricing information is provided by the listed merchants. GoSale.com is not responsible for the accuracy of pricing information, product information or the images provided. Product prices and availability is subject to change. Any price and availability information displayed on amazon.com or other merchants at the time of purchase will apply to the purchase of the product. As always, be sure to visit the merchant's site to review and verify product information, price, and shipping costs. GoSale.com is not responsible for the content and opinions contained in customer submitted reviews. Coupon Details: Get $145.10 OFF automatically when you add this item to your cart! Find similar products to the WRB322DMBB - RÃ©frigÃ©rateur noir de 22 pi3 avec congÃ©lateur infÃ©rieur et tablettes en verre antidÃ©bordement SpillGuard.